Ever since House of Holland sent an array of rainbow bright PomPom earrings down their S/S 2011 runway, I’ve been craving some pompom action of my own! 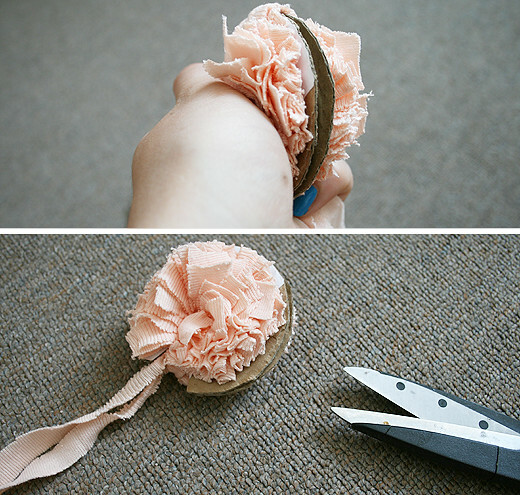 After stumbling upon Craft Gawker the other evening, I spotted a tutorial that could help make my pompom dreams come true! With cheap, basic materials required, I felt that this was a more cost-efficient and fun way of embracing clown-chic… and who doesn’t feel proud strutting about wearing something pretty you’ve made yourself?! 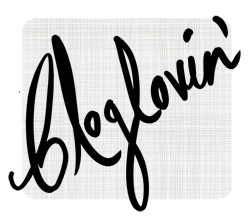 I thought I would share it with you because if I can manage it, anyone can! 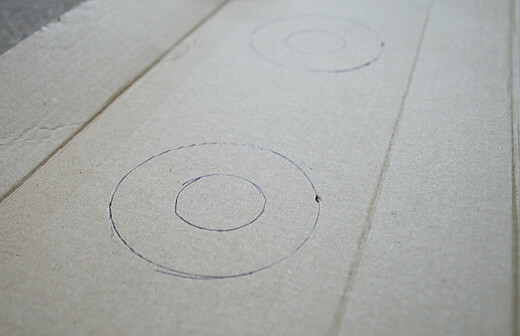 Step 1: Draw around the circular based objects you have found. 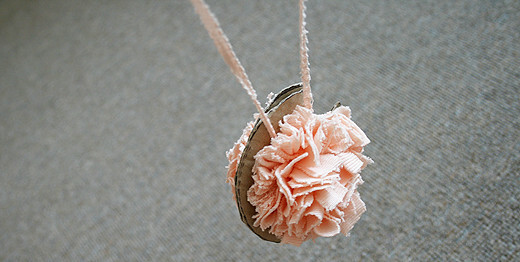 The size depends on the size you want the pompom to be! As you can see mine is quite small. 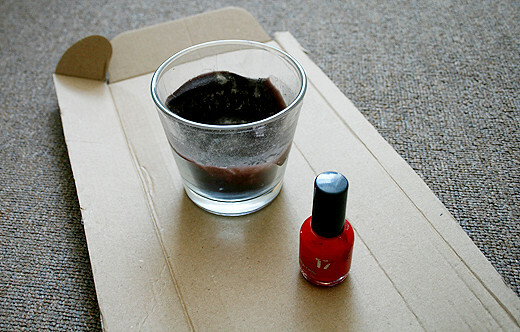 I used the base of my glass candle pot and a nail varnish bottle for the smaller circle inside. 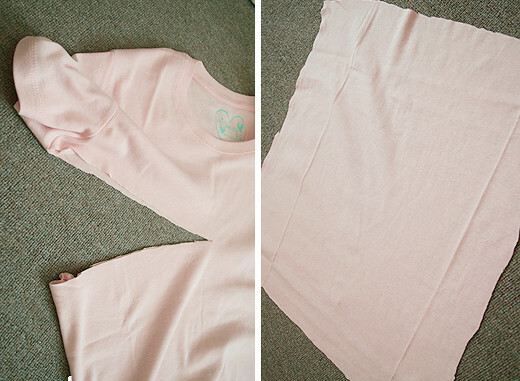 Step 3: Now you need to get your t-shirt fabric ready! I cut across the t-shirt under the armpits. Because we don’t need loads of fabric, I cut the front and back panels so they are separate (you’ll only need one) and cut any hems/seams off so it was just a plain piece of material, as you can see! 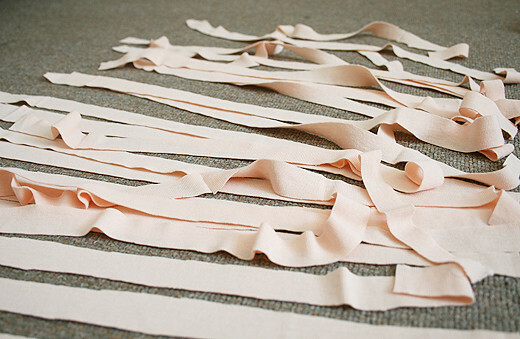 Step 4: You need to cut your fabric longways into strips which are roughly half an inch (about 12mm) thick. I didn’t use a ruler so my sizes weren’t exact, and certainly not all the same thickness, but this doesn’t matter too much! Step 5: Take one of your strips and sandwhich it between your two templates, making sure you match them up again! 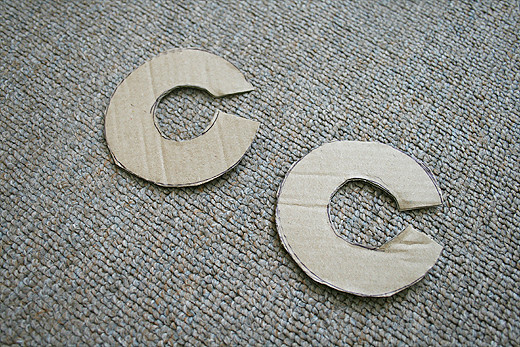 Step 6: Take another strip and start to wrap it around your ‘C’ shape. 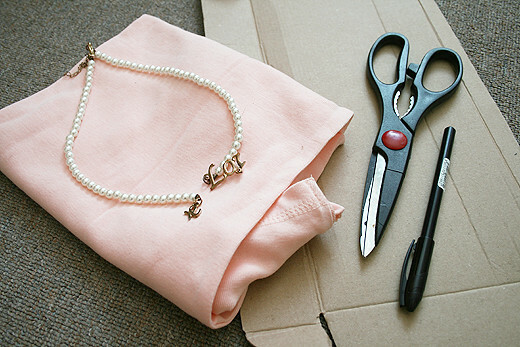 Make sure you do it quite closely and tightly, I kept pushing mine up to make sure I could wrap as much around as possible – you want a nice full pompom, not a little straggly looking one! Once you get to the end of one strip, just overlap the next one and keep going, and so on, wrapping the strips over eachother until you’ve got 3 layers. Like me, you’ll probably be left with a fair few strips of fabric at the end – but don’t worry, you haven’t done anything wrong, its just excess material thats all! : ) It should end up looking a little something like the picture above, although if you use a different colour it probably won’t look as much like a prawn as mine does! 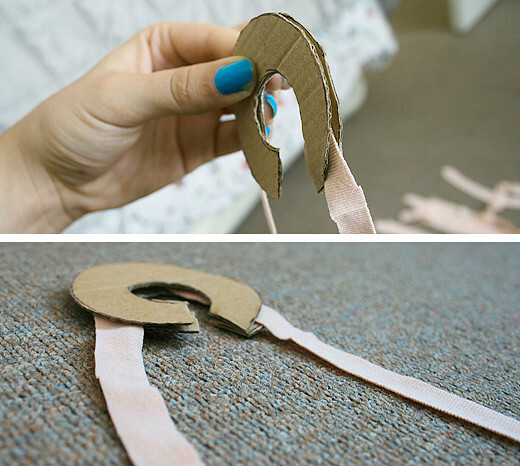 Step 7: IMPORTANT: It isn’t clear in the photograph, but you need to tie a knot in your ‘sandwhiched’ strip. Take both ends and tie them together at the break in the ‘C’, this is really important because its what will keep the pompom together! Tie one knot, you will need to tighten it again later so don’t be tempted to double knot it just yet. Step 8: This is the fun bit, where you finally see your work pay off and see the pompom coming to life! It can get a bit messy too, although mine wasn’t too bad. 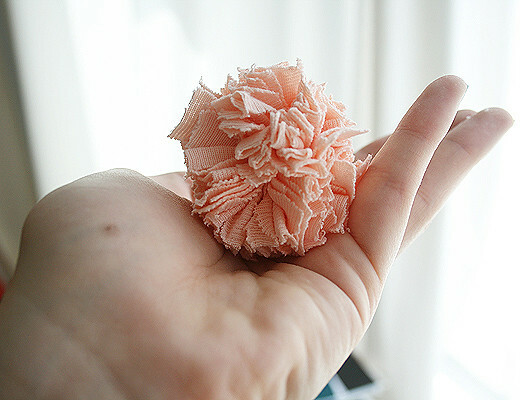 You need to hold the pompom tightly in your hand to keep everything together! 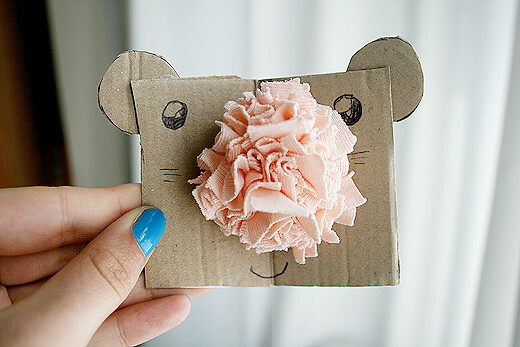 With your other hand, cut around the outside edge, in between the 2 pieces of cardboard. As you do this you will start to see the results! Don’t get too excited just yet though, you need to keep holding it together until after the next step! Step 9: This is the important bit now! Pull the ends of what has been the ‘sandwhiched’ strip, which is now knotted (Step 7) very tightly so that it closes up around the centre of the pompom. 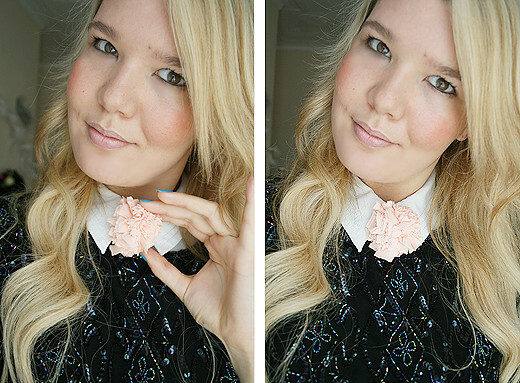 Double knot it so your pompom won’t loosen up and fall apart! This may seem a bit fiddly, but you don’t need to worry about it being too neat because it’ll be hidden inside the pompom anyway. Step 11: All you have to do now is find the strip which you’ve been working with, which is tied around the centre of the pompom (what I’ve been calling the ‘sandwhiched’ strip!) and loop this over the end of your necklace and slide it on down the chain, and you should end up with a nice new necklace ready to wear! They look really cute worn with a collared shirt! 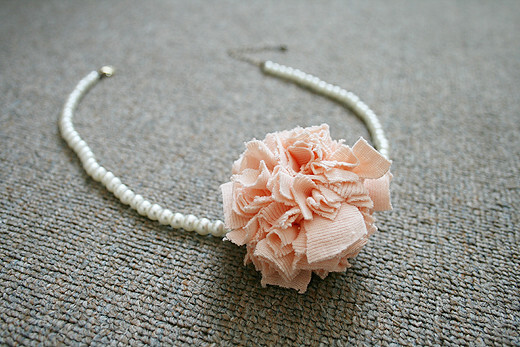 Obviously, there are many ways you can wear a pompom, you don’t have to put it on a necklace… let your imagination run wild, and if you come up with anything fun, let me know! I hope my instructions haven’t been too confusing… if you have any issues, you can refer back to the original tutorial I’ve been working from courtesy of the lovely Linda of Craftaholics Anonymous, or leave me a comment and I’ll do my best to help! Haven’t made a pompom since I was a Brownie Guide but I really want to now! Your necklace is gorgeous! Love your tutorial. 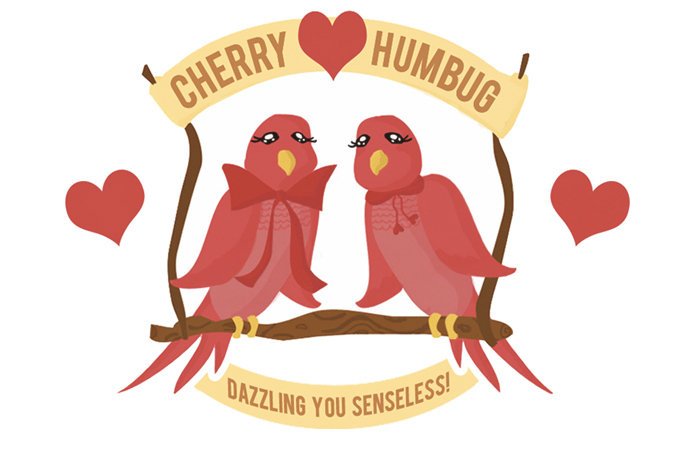 And you are seriously darling dear! 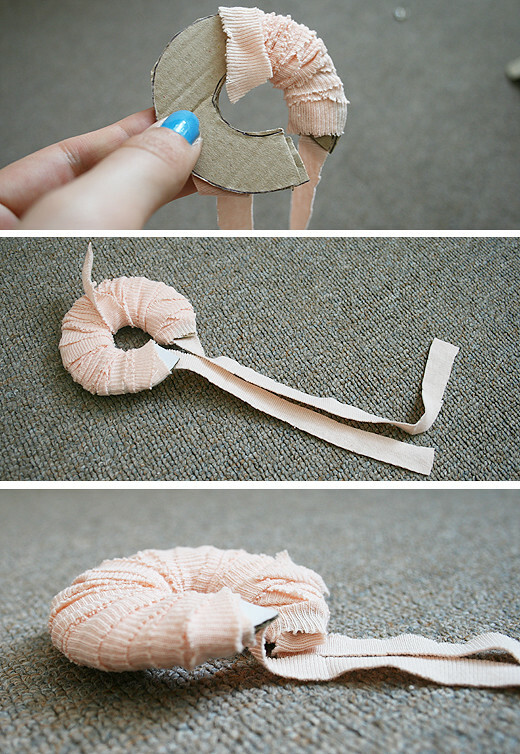 Love this – I’ve been wondering how to make fabric pom poms! SUCH a great idea! I have to try this.